The traditional IT responses to the need for increasing cyber security of businesses and the workplace are no longer enough. The busy IT manager and his equally overworked staff can install all the anti-hacking software they know into each device in the office, and the humongous, time-consuming effort will still fail. And while training employees about the latest forms of cyber warfare can probably prevent a mishap or two, that strategy is like plugging a hole in a dam about to burst. Google’s own network security engineer, Darren Bilby, said as much in the recent Kiwicon in New Zealand this November. According to the The Register, he pointed out that the usual anti-virus and detection tools have become ineffective. He also said that teaching staff anti-hacking responses, like not clicking on phishing links, is synonymous to passing the blame on the user; a more productive response would be to seek the assistance of hardware and software manufacturers who can strengthen security. Automation is the solution being applied to installing effective IT measures that strengthen security and implement compliance. IT Security and Compliance solutions do not simply heal the breach after the IT administrator spots them. They make your defense systems even stronger by building on past knowledge and experiences. They prepare your organization’s IT system and transform it to become more impervious to future and more powerful cyberattacks. They can flag an anomaly that can lead to a serious security invasion before it happens. Finally, they can correlate all the data streaming into your system and present you with an analysis on the vulnerabilities of your IT system. Finally, they can recommend how to remove these flaws and improve your IT system. There are two ways that IT Security and Compliance strengthens your cyber defense: showing your blind spots, and repairing your breaches in a pro-active manner. First, by performing the objectives of both IT Security and Compliance, it speeds the process by which remediation is done to a cyber breach. Fast response time is critical to arresting a virus or an attack. The slower the response, the faster the attack wreaks havoc on your infrastructure, and the greater the damage. Unfortunately, in most companies, IT departments still separate IT Security and IT Compliance into two units. The security team must identify the threat first – and then the compliance and operations team moves in to install the patch. This downtime can be downright dangerous and leave the organization more vulnerable. Given that some IT teams take weeks to isolate the root of an incident, and then another few weeks for compliance and operations to bring the solution, the quality of the IT infrastructure and the business agility of the organization has already been compromised. IT Security and Compliances manages and minimizes this risk by automating the workflow processes that spot the breach, assess and determine its cause and damages, weed out other risk factors, and then trigger remediation. Downtime is also reduced, if not eliminated, leaving the company free and well-equipped to pursue its business objectives. The automation of these combined resources can also fast-track the discovery and implementation of a solution to minutes, instead of weeks. Second, IT Security and Compliance can show your IT administrator blind spots in the system that can expose your organization to flaws, potential breaches, and vulnerabilities that the IT administrator himself might not even know of. One example of a blind spot are the company’s devices and network systems aligned to its Internet of Things. In the adrenaline rush to adapt to the developments of this emerging ecosystem, security is being overlooked. ITechPost reports that seemingly harmless devices such as DVRs, printers, and monitors — as long as they are connected to IoT — are fair game to hackers. An attack can use these office equipment as platforms to infiltrate an organization’s DNS structure and worm its way to its web services. An IT Security and Compliance solution rigorously and regularly investigates your IT system and takes notes of these worrisome areas. In the above example, it will notify the IT administrator of the linkages, nodes, and other openings in a monitor or a DVR that a hacker can tap into, once the device is hooked into the net. 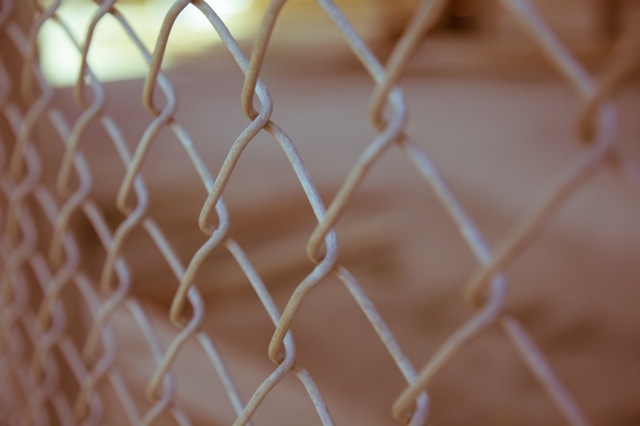 Ultimately, IT Security and Compliance heightens the visibility of your IT infrastructure, opening up its many layers and interdependencies to be improved. It does not waste precious time in addressing a threat. It peels the curtain to show blind spots that, in time, would have disrupted the efficiency of the organization. At the end, IT Security and Compliance does not just strengthen an IT department’s defenses, but makes the entire organization stronger than before.